Some time ago we built a product that would allow objects to be replicated between systems without the need to use FTP. This is very useful to us when we develop changes to our products and need to replicate the changed objects to the test systems etc. In the past we created a user option in PDM to automatically replicate the selected object to the remote system(s). This is done via one of the commands provided with RE4i which was written for the object type. 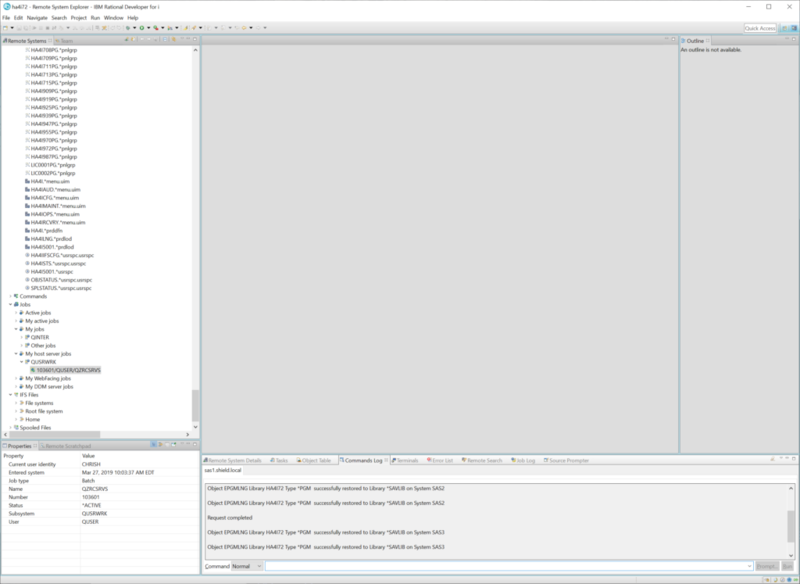 As we are now committed to using RDi as our IDE of choice, we wanted to remove the need to sign into a PDM session and replicate the objects using the PDM options even though we could do all that within a 5250 session in RDi. We had a quick chat with Wim Jongman of Remain Software to find out what our options would be and which would be the easiest to implement. 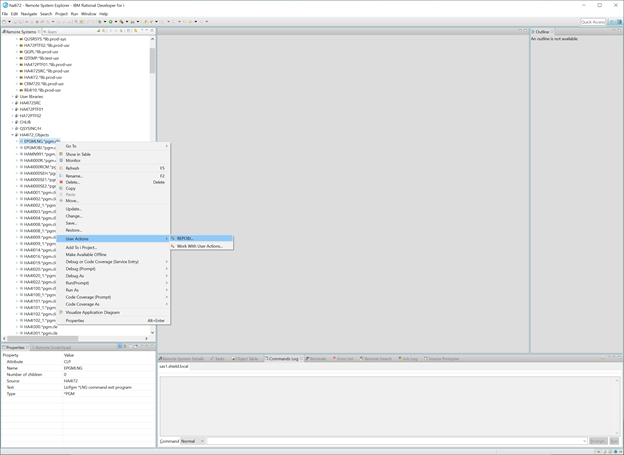 Building an Eclipse plugin was where we first looked and did some investigation into the process, but as we are not Java experts we felt it would be quite a lot of effort to get anything which would stand up to the required standard. Wim took us through the options and what they had done with their products in terms of RDi integration and showed us just how easy it would be to implement User Actions to carry out what we needed. We had looked at the User Actions in the past but never really understood just how powerful they can be. We have been converted! Couple of things we had to do first was make sure the library list for the connection was updated to access the relevant commands we have built for RE4i. Then we simply added a new user action in the same way we did for PDM so the object name and library etc would be copied into the command. It was so easy we were dumbfounded why we had not done this before! Now we have the ability to replicate objects on demand from within RDi to our remote test servers with a simple right click! The command responses are posted in the command output box confirming that the objects were successfully replicated. RE4i has the ability to replicated items in the IFS and well as spool output which can be very useful to developers. We are constantly picking up new ways to improve our effectiveness with RDi, going back to PDM is a real challenge for us now and is something we suggest people move away from ASAP. Here are a couple pics of the implementation. We chose to have the command prompted each time as we may want to change the systems that we replicate the object to. The following shows the command output in the Commands Log view. Seems strange that we get 2 messages for each replication request but overall it makes our daily activities when replicating objects for test very easy and effective. 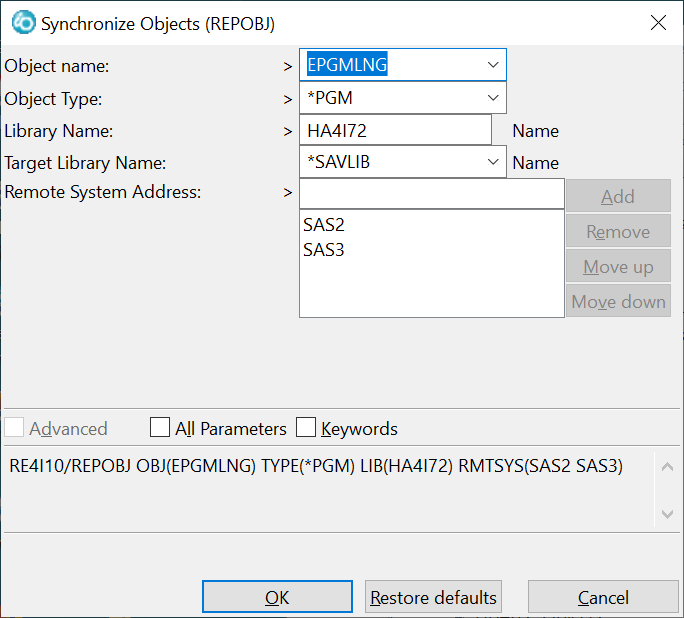 RE4i is just one way to implement a method of replication of objects between systems using RDi but as we had developed it specifically for this purpose it brings a lot of things together very nicely. RE4i is available for purchase through Shield Advanced Solutions Ltd, if you are interested in a trial of the product let us know.